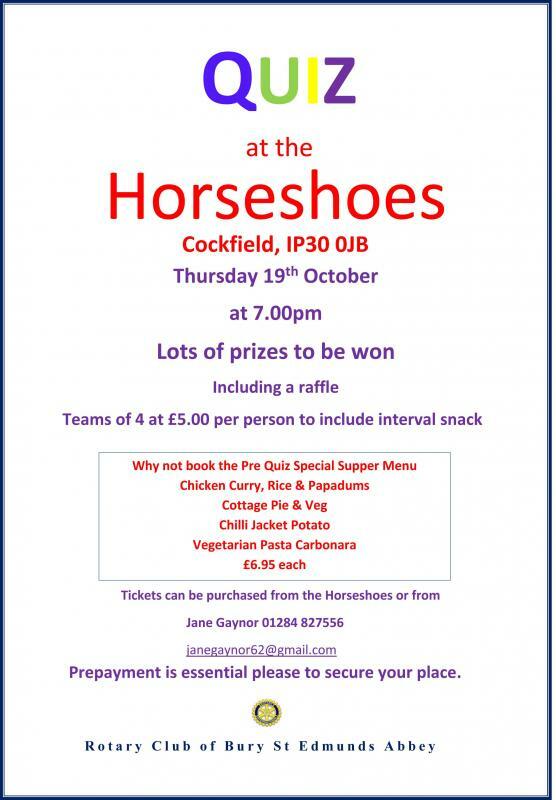 A fun charity quiz at the very welcoming Horseshoes Inn at Cockfield, Teams of 4 required. Only £5 a head, great prizes to be won plus raffle. Contact Jane Gaynor to register your team. Payment in advance please!